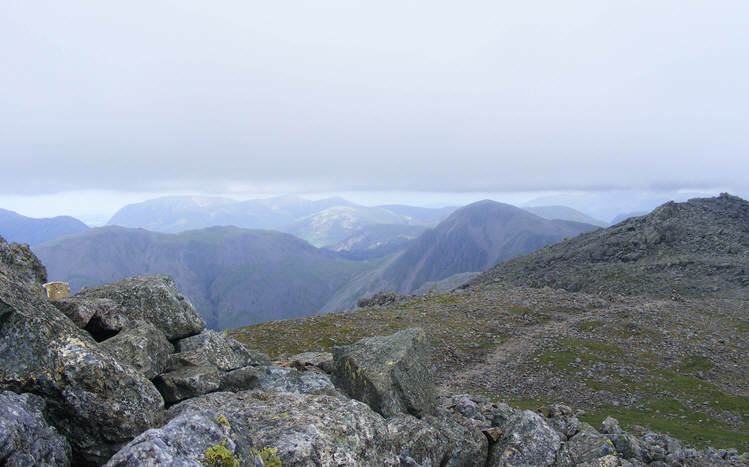 Here we see the view north from the summit of Scafell. Great Gable is the peak to the right-centre, with Kirk fell to the left. Grasmoor and the Buttermere fells are seen in the distance.